Setting End Goals - Do They Measure Up? Great communication is all about being adaptable to change. Your communication plans should be constantly evolving based on the current needs of both the business and your employees. As your workforce becomes more multi-generational and you adapt to changes in technology, it’s increasingly important to reconsider how to best communicate with your employees. Just as with any business plan, your communications should have objectives. Those communication objectives should align and support your business objectives. Goal-setting allows you to see where you are coming from (giving you a benchmark for comparison), assess your progress by checking off your target objectives, and finally, to evaluate your overall success by comparing your end results to your benchmark. Specific, Measurable, Achievable, Relevant and Timely. Who is your target audience?/What matters to them? What are you looking to communicate? Why do we want to communicate this? It is important to determine how you’ll know if your communications were successful. You should be able to see if you achieved the desired results of all of your goals. Did your communications reach the target audience? Did the data tell you what you expected or something surprising? A digital campaign allows you to more easily track results - you can pull up the reports and see analytics: were emails opened; what pages were accessed; did they click-through to the website; did they turn in or fill out required forms? With mail, tracking that mark of success is more difficult to measure. You’ll want to look at creative ways to measure (i.e. creating an unique URL for print vs. electronic components) how many followed through on the call to action of the communication piece. Are your employees likely to engage or even be receptive to your message? Are your communication goals realistic and achievable? Is the timing right? If you’re already doing open enrollment communications, maybe the new wellness program should have its own time and focus. 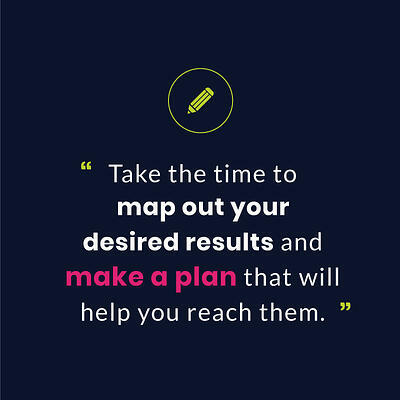 Take the time to map out your desired results and make a plan that will help you reach them. Does your communication strategy work with your company’s goals? Is the message relevant to all employees or just to a more narrow audience? If you’ve encountered a lot of questions about planning for retirement, should it be targeted to those closer to retirement age or include all employees to help them plan for their future? All communications don’t need to go to all employees. Segmentation is effective in getting your audience to act because it is relevant to them. Your communication goals should have a do-able timeline - one that gives enough time for tasks to be completed but not so much time that procrastination will be inevitable. Take your long-term goal and break it down into manageable pieces. Your goal feels more achievable the more you can check items off along the way. It’s important to release messaging at the right time. 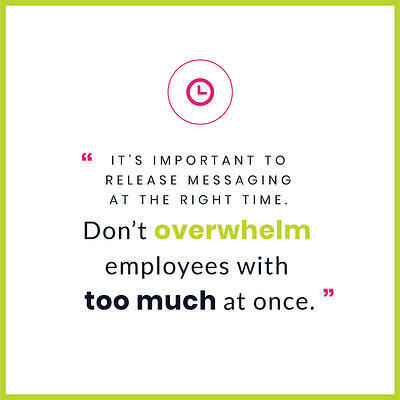 Don’t overwhelm employees with too much at once. Be sure to space out the frequency and type of communication to avoid employees losing interest. Your company will always benefit from the most effective communication strategies when you are adaptable, allowing your plans to evolve as needed. It is not always enough to just “tell” your employees what’s going on around the office, sometimes that one message needs to be part of a bigger picture. For example, instead of just communicating to the employees close to retirement age about changes to the pension plan, include all employees- broaden your focus to help all plan for retirement. The more time and focus you initially put into creating a strong communication strategy, the easier it will be to inform employees. You will have the framework in place on how to communicate changes. You know your employees best- and how they best receive, understand and act on information. Companies are communicating to recruits, employees and retirees of all ages and backgrounds. Because these people are in different stages of life and don’t always seek out, react to or retain information the same way, one size does not fit all. Proudly certified as a Women’s Business Enterprise.